Customers today are not as excited about vehicle purchasing as they were 10 or 15 years ago. Today car buying seems more like a hassle rather than a reward for your hard work. It doesn’t have to be that way though. Customers today have access to more information than ever before when it comes to car buying. We can look at reviews for dealerships and the vehicles we are shopping for, we can see history reports for the vehicles we like, we can even compare prices from the comfort of our own homes. With all this information in front of us the car buying process is simple and easy. 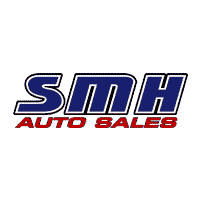 At SMH Auto Sales we work to make sure the process stays that way when you make it in to our dealership. Once you have located the vehicle you want there are a few things to remember. Price does not determine the “Best Deal”. All dealerships essentially pay the same amount of money for the cars they put on their lots. They all get their vehicles from the same places. What creates the best deal in today’s market is the condition of the vehicle and the type of service you will receive after the sale. Which deal is better, the one where you buy a vehicle with old tires and worn out brakes for $8,000 or the deal where the vehicle has four new tires and new brakes all the way around for $10,000. Chances are if the dealer took the time to do brakes and tires that they also made sure everything else on the vehicle was in good operating condition. Also if they care about their customers enough to offer a higher quality product they are less likely to leave you hanging in the event of an issue after the sale. In this case spending $2,000 dollars more could save you thousands over the life of your vehicle. Some dealers just care more. The internet has crushed profits in every industry. People still come to car dealerships and try to negotiate thousands off of prices. Typical markup on a car lot is approximately $1,000 to $1,500. Auto sales is probably the business with the lowest amount of markup in the world. Some times dealers can still negotiate pricing but the “room” is much less today than it was 10 years ago. Dealers literally have to advertise all of their products right next to their competitors products. This leaves little room for profits. Be sure that you do not want the vehicle at all before you walk away from a good deal! The difference between dealers are the people who work there. Your whole car buying experience is determined by a few people. If the people you are working with are friendly and helpful you will have a great car buying experience. You will be happy with your purchase and you will feel good about the money you spent. If you end up working with a dealer who has pushy and unhappy staff, chances are they will also be selling that car with the bad brakes and tires!! To summarize, when you are shopping for a vehicle be sure to check the reviews for the dealership, the reviews for the vehicle, the history reports, and call the dealership to get a feel for the environment. At the end of it all, people are the ones who decide whether or not your deal is the best one, not the price! Make sure you get a quality vehicle and great customer service, that is how you get the best deal on your next car or truck.